My customer is a realtor and asked that I make a decorated sugar cookie gift box for his clients' home closing. He requested cookies with the Prudential logo and his name. So, besides the logo cookie, I designed a "Home Sweet Home" plaque, a darling house and a key with my customer's name. or as a platter at an open house. 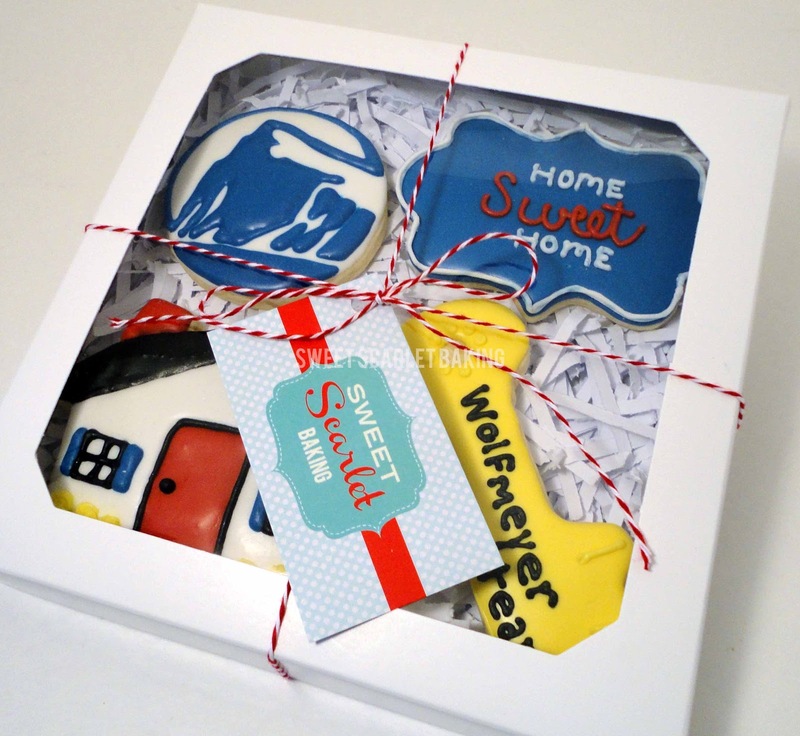 This gift box is a sweet present for any new home owner. 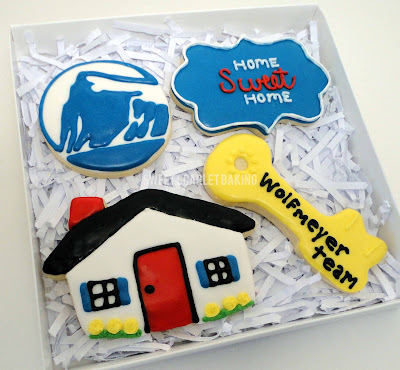 The logo cookie could be replaced with a sold sign or a moving box. Order one for your next housewarming party. What a fun way to say, "Welcome to the Neighborhood!" For making your home perfect place for you, then you must have to decorate your home according to your style and design, by using the i need help decorating my home for your home decoration which is special design by the designer will become the best decoration piece for your home.